Francis Foxx is a pop singer, songwriter and multi-instrumentalist from Western Australia. Having spent the past two years growing and defining himself as both a writer and performer to watch, the Perth-based artist is taking his first steps into the limelight in 2019. 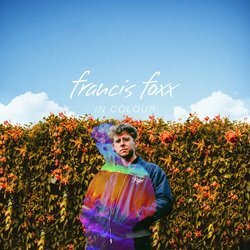 Francis Foxx is back with a new slice of electro-pop on In Colour. A darker, dirtier offering from the Perth-based pop artist, this sophomore offering delves into the world of new love and lust. Written in a single one-hour drive to the studio and fleshed out briefly on an old upright piano, the track hits harder than his previous release.